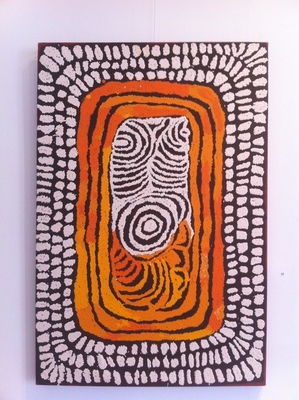 In the last decades, Aboriginal painting has gone mainstream. 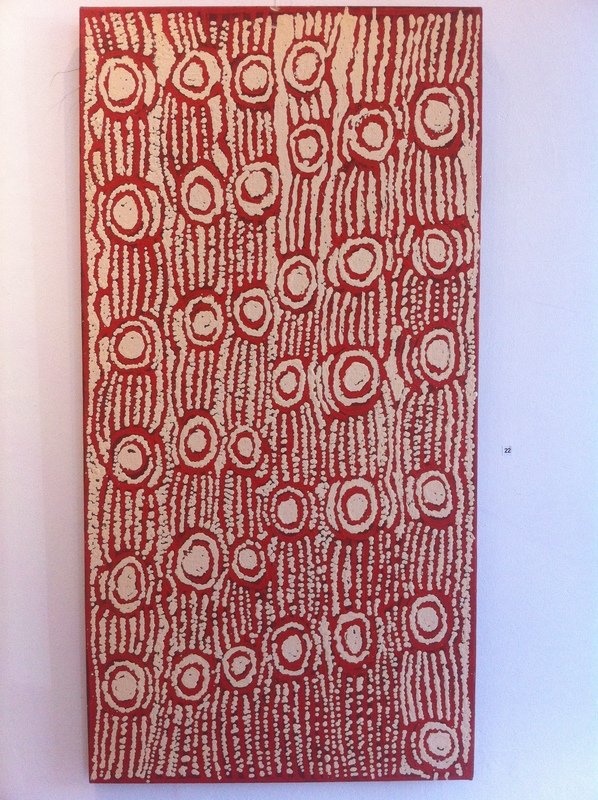 Which is why you can currently see a showcase of artists from the Central Desert of the Northern Territory and from Western Australia on display in the Red Dot Gallery in Toorak Road, South Yarra. 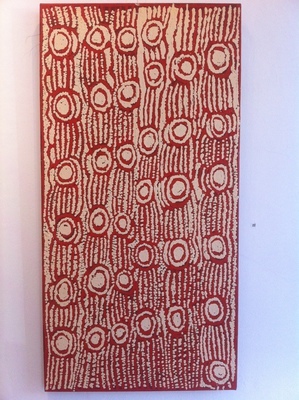 Aboriginal art is becoming something more easily understood by more of us. Still, it feels like a new language to learn (some of which is private, amongst its native speakers, and is not depicted in public paintings). What do those symbols mean? Many of us automatically understand that we are looking at art whose central character is the land. It is art which is like a 5D map - it's not only of the earth in a descriptive or pictorial way, but that land with people living on it, in it, around it, participating in ceremony and ritual, looking after the land. It includes the Dreaming stories (which is not simply a time that occurred long ago; the Dreaming is also now). As a kid growing up in concrete suburbia, who cried whenever I had to leave the farming land of Nagambie after school holidays, my love for the earth has grown only stronger over the years. It is strange to me now that I once did not understand how much we depend upon the land for our survival - and not just in a physical sense for the food we get from it, but in deeper ways that go beyond language. Indigenous art speaks to me of that intimate connection. 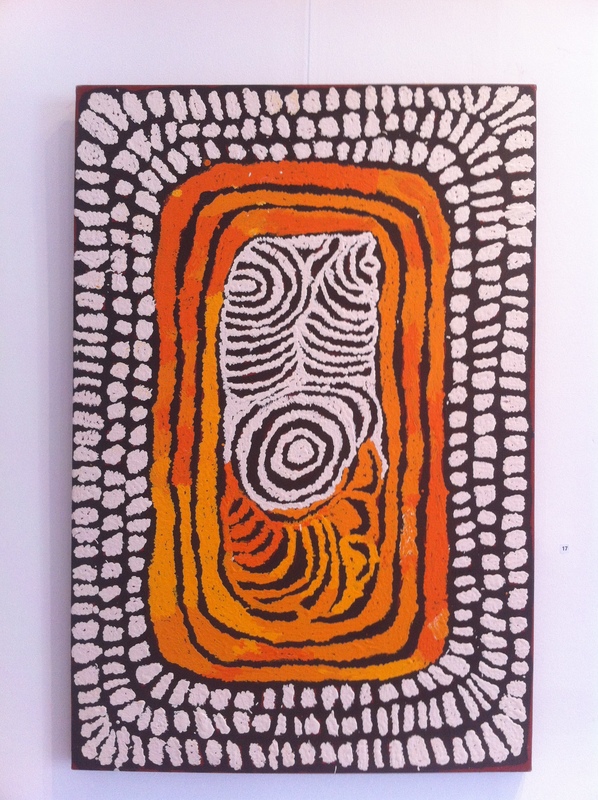 Red Dot Gallery's showcase of paintings from the desert communities of Utopia, Papunya and Yuendumu has been running since February and is coming to an end on 15 April.